Since 2004, Amnesty Prize has been awarded to help increase knowledge about human rights, and to promote activities that strengthen the respect for human rights. 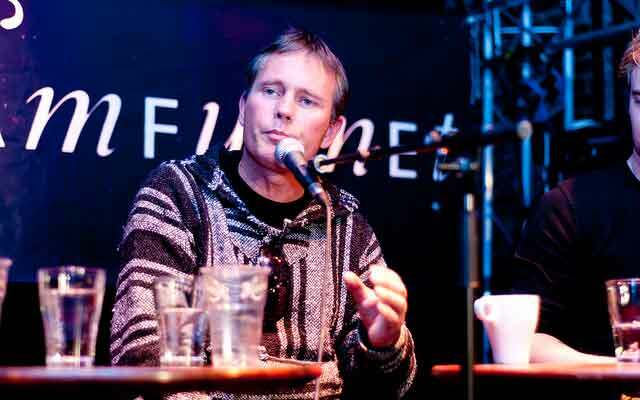 Arild Knutsen is Chairman of the Association for a humane drug policy (Foreningen for en human narkotikapolitikk). He has distinguished himself clearly in the fight for drug users’ rights, with a particular focus on disadvantaged, and for a new drug policy in Norway. – For years, Arild Knutsen dedicated his life to give a voice to people who are prone to be heard. Knutsen’s compassion is an example. Therefore, we want to honor him with Amnesty Prize 2014, says chairman Trygve G. Nordby in Amnesty Norway. Knutsen has a background as drug user and he is familiar with the environment well. – This gives him extra weight and credibility to speak substance abusers’ case. We at Amnesty praises Knutsen’s tireless work and dedication, and his most important contribution to the public debate on society’s disadvantaged, said Nordby. Knutsen spend much time in the city center to assist and support the addicts to clean wound, advise, help and guidance, distributing clean needles and food. At the same time, he participates in the public debate with posts and feature articles. The award winner has also become an important advocate for the visiting Roma population and their right to respect. – Arild Knutsen has reached many with his message because he always tried to show that both addicts and Roma people suffer from a lot of the same lack of respect for human dignity, says Trygve G. Nordby.